John Makhoul, chief scientist at BBN Technologies, Cambridge, Mass, has made a number of significant contributions to the mathematical modeling of speech signals. Prominent among these contributions are his papers on linear prediction, which models the evolution of a signal over time, and vector quantization, which allows for the efficient coding of signals and parameters. Dr. Makhoul is recognized in the field for his vital role in the areas of speech and language processing, including speech analysis, speech coding, speech recognition and speech understanding. 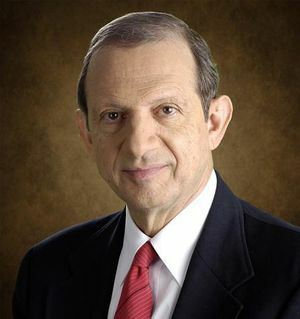 His patented work on the direct application of speech recognition techniques for accurate, language-independent optical character recognition (OCR) has had a dramatic impact on the ability to create OCR systems in multiple languages relatively quickly. He has been leading research and development in speech systems and more recently in applying existing and new technology to the area of language translation. An IEEE Life Fellow, Dr. Makhoul has received several awards from IEEE. This page was last edited on 1 February 2016, at 17:58.